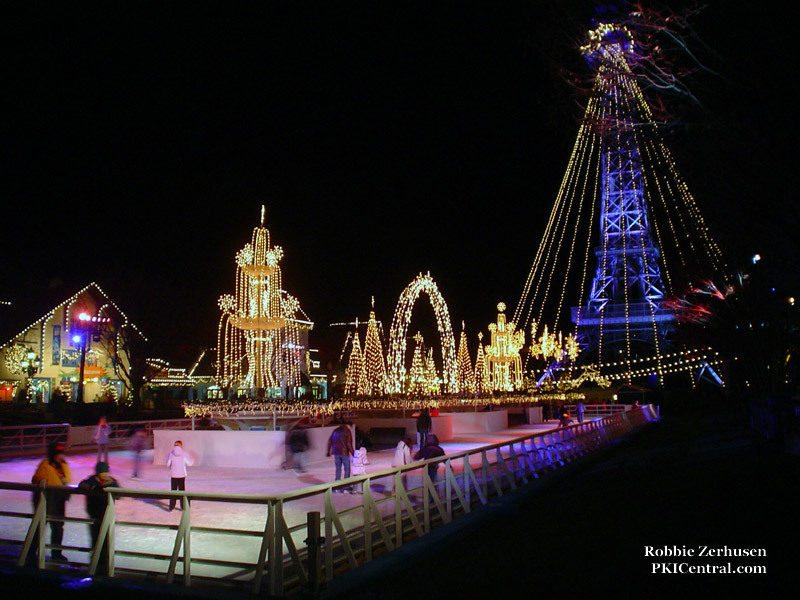 In 1982, Kings Island opened its gates in December to a park that was transformed into a winter wonderland. 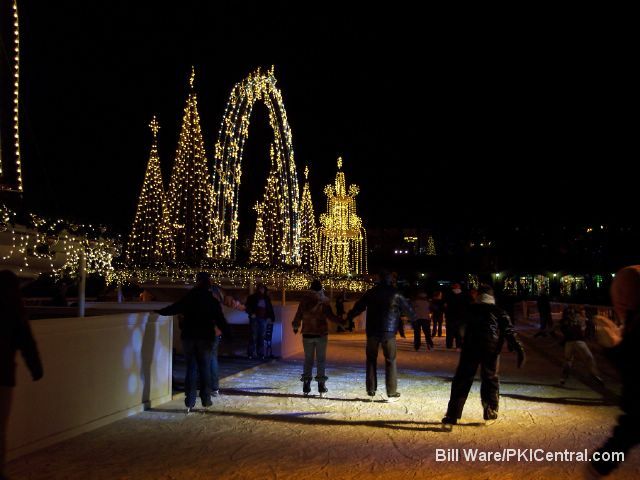 The Eiffel Tower was decked out as a large Christmas tree, and there was ice-skating in the royal fountain. 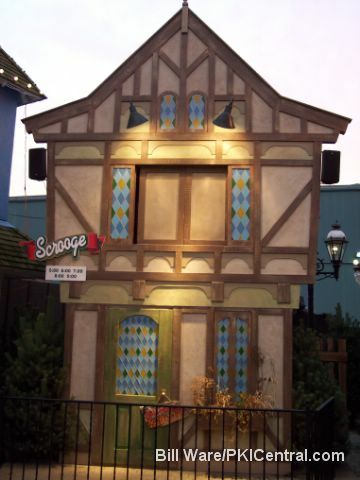 Guests could visit with Scrooge, or enjoy a ride on the Smurf`s Enchanted Voyage. 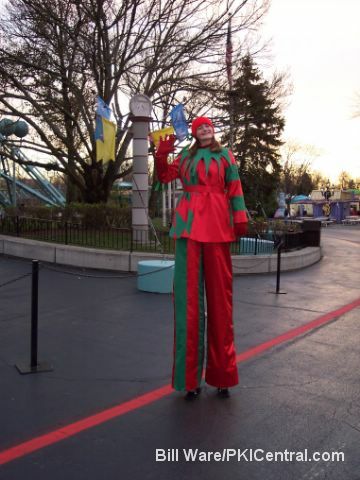 Guests could also embark on the Kings Island and Miami Valley Railroad, take a spin on the Grand Carousel or the Hanna Barbera Carousel or take in the shows. 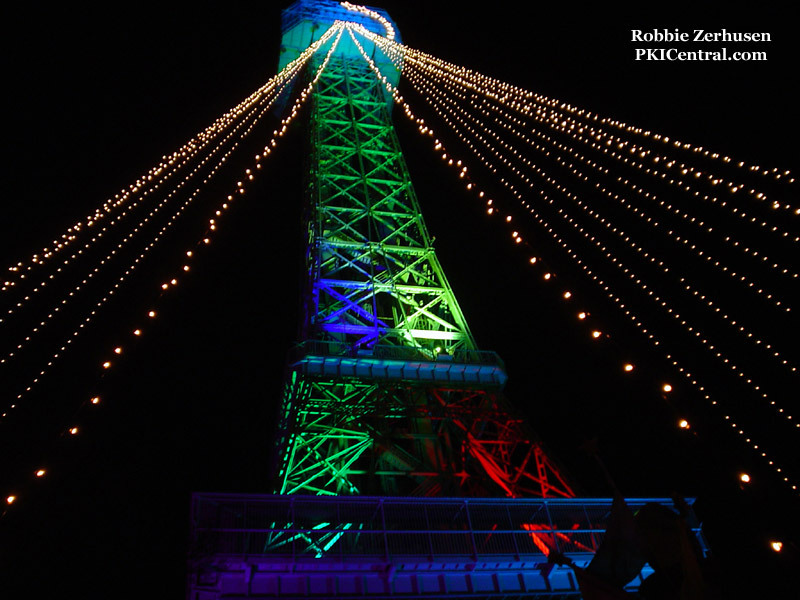 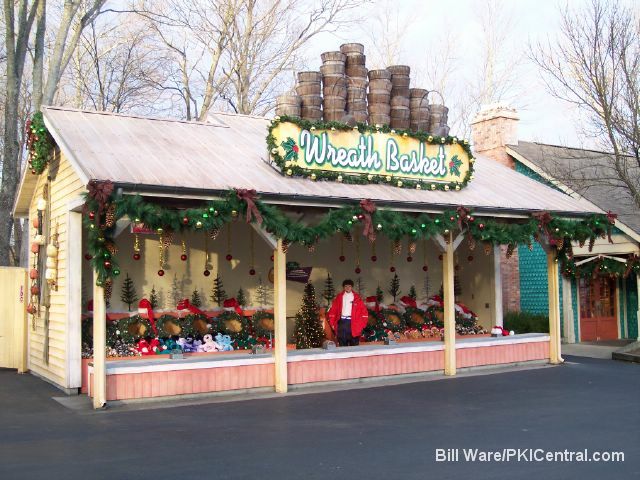 Kings Island`s WinterFest debuted in 1982, one year before the Cincinnati Zoo started their winter festival, dubbed “Festival of Lights.” Millions of guests enjoyed WinterFest over the years. 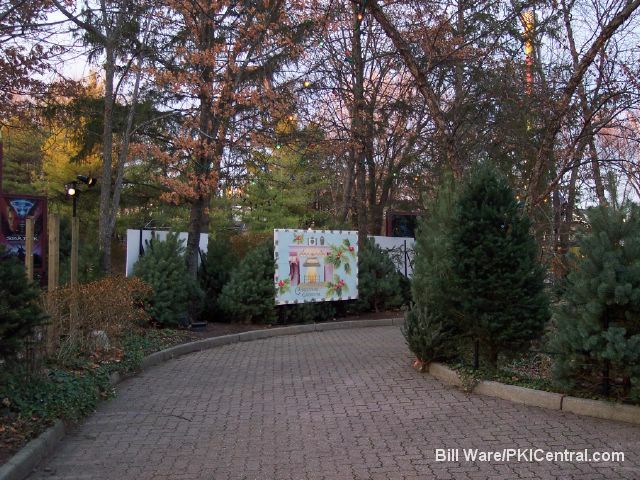 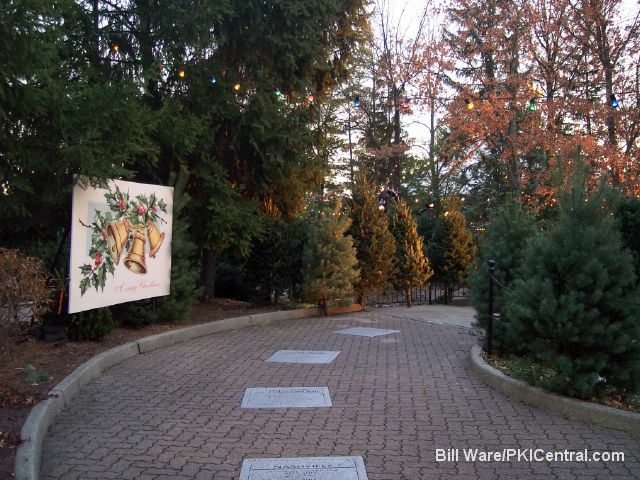 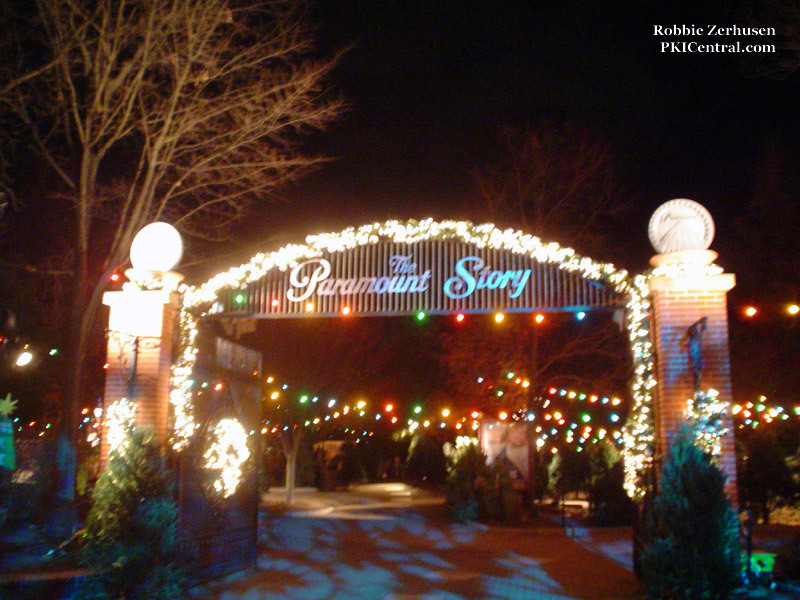 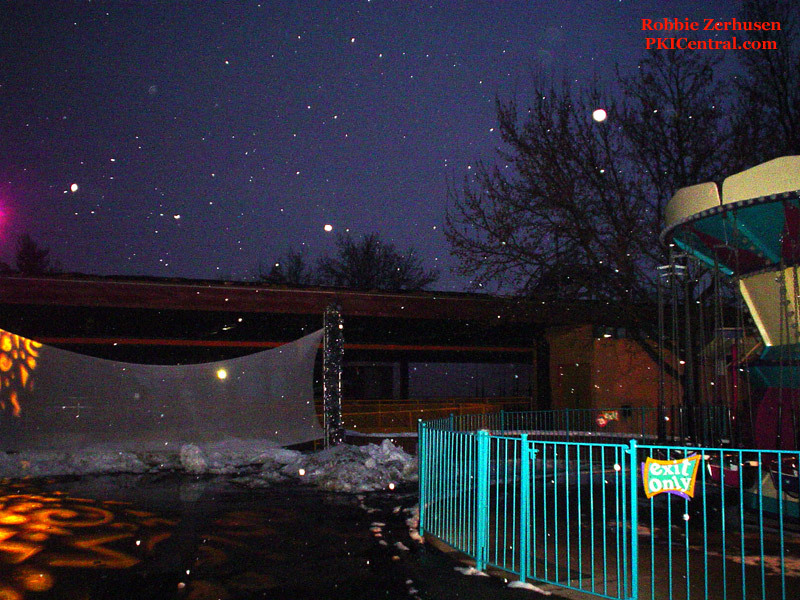 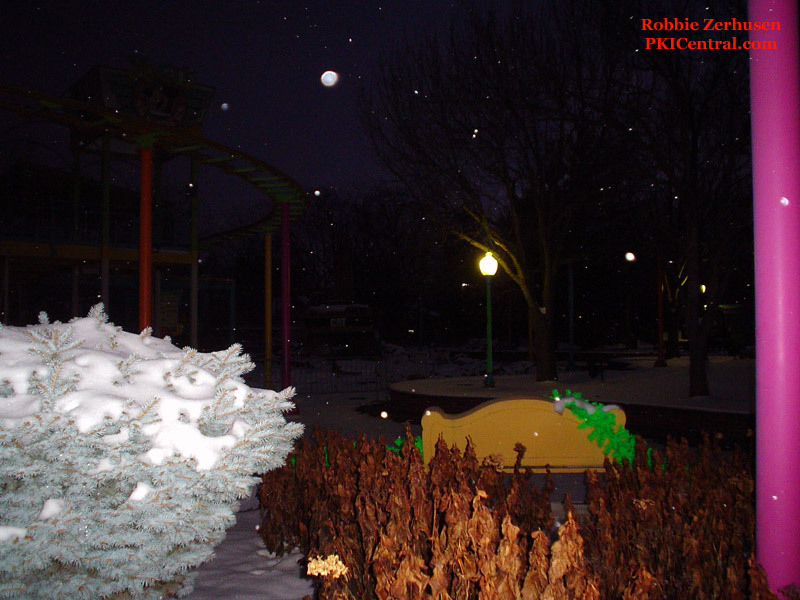 Then Paramount Communications purchased the park and wished to keep the park open longer in the fall. 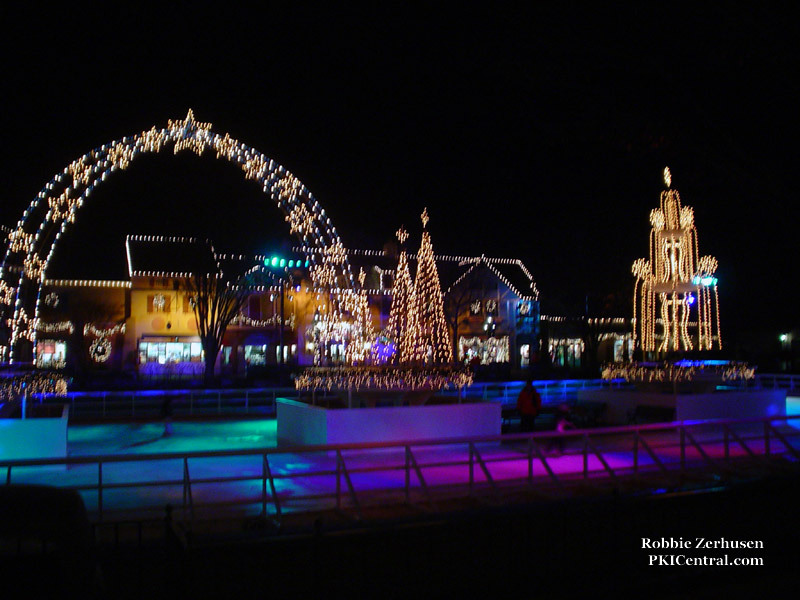 The result of staying open through the end of October was that they would not have enough time to prepare for WinterFest. 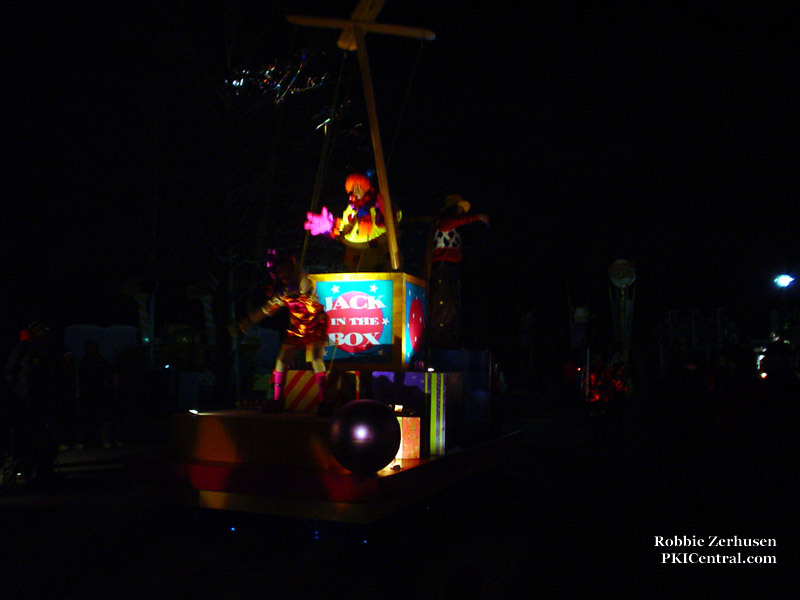 So they decided to discontinue it after the conclusion of the 1992 incarnation. 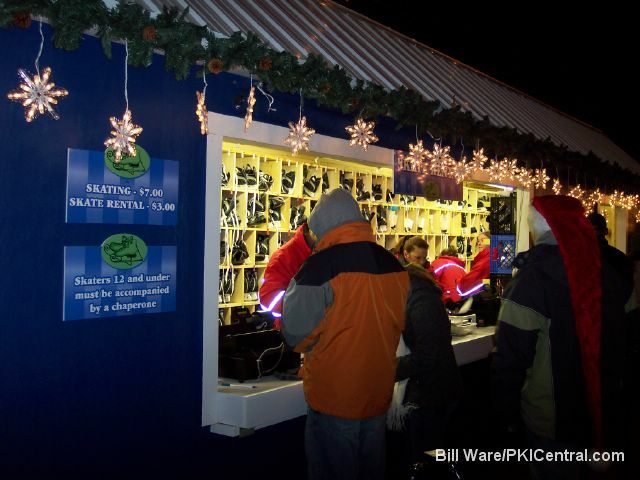 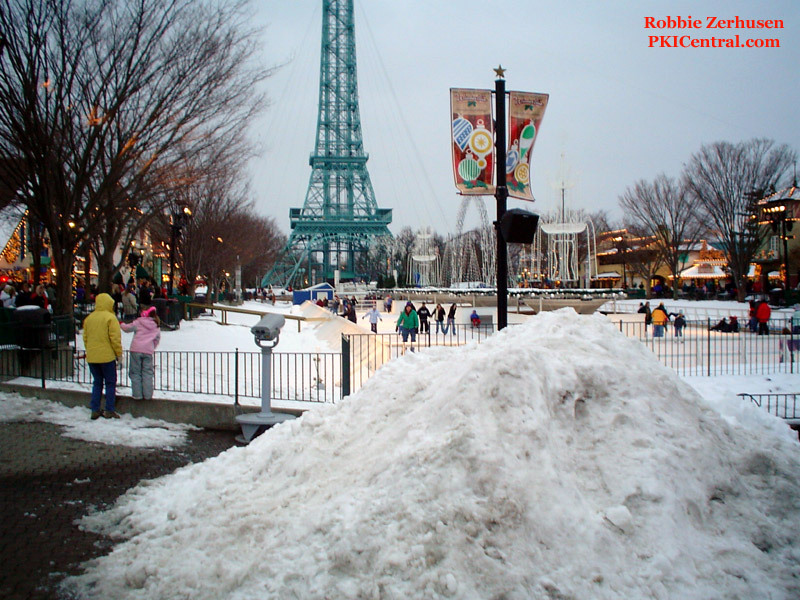 On July 25, 2005 Kings Island announced that they were bringing back WinterFest in 2005, after a thirteen-season absence. 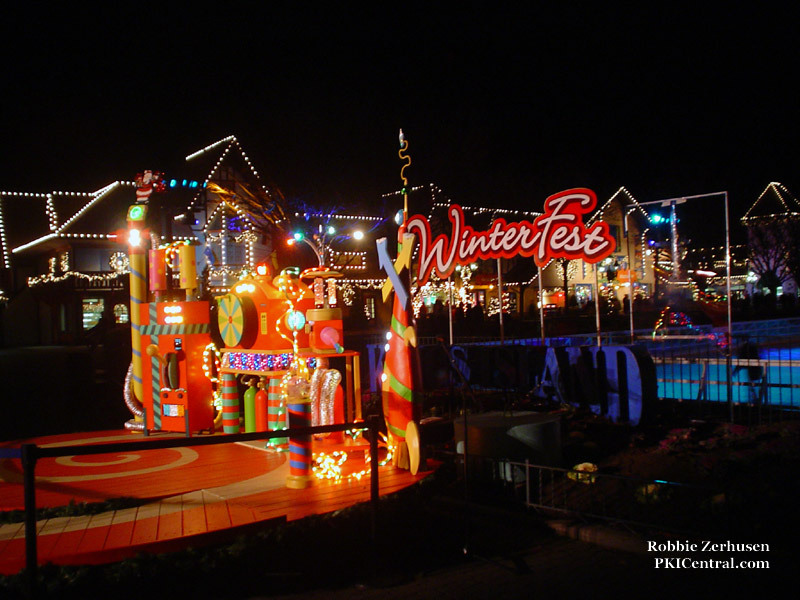 Paramount`s Carowinds also announced that they will introduce WinterFest in 2005, for the first time in their history. 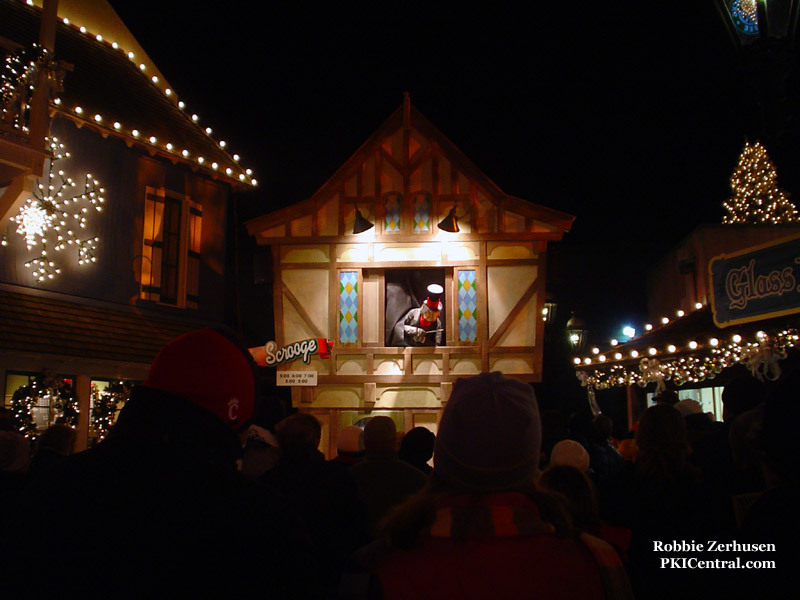 It would feature many of the old traditions established at the original, and many more. 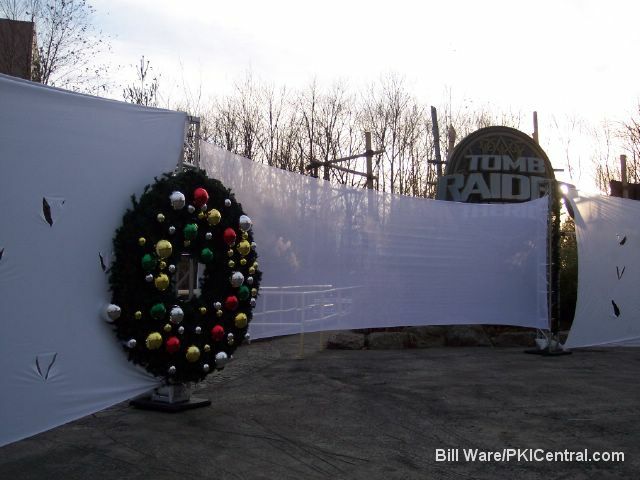 All the decorations were brand new, as the original ones were either sold off or donated. 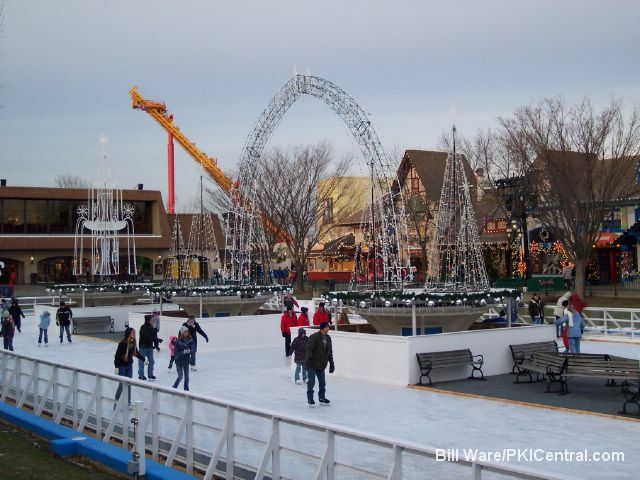 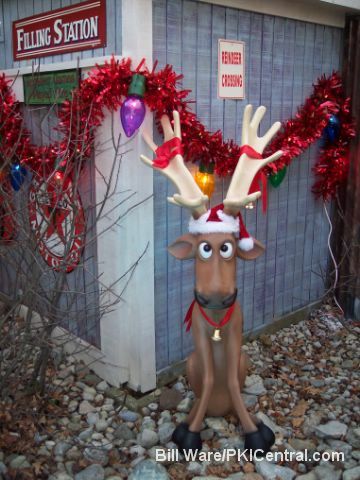 They decided to reinstate WinterFest after years of surveying park guests about the concept. 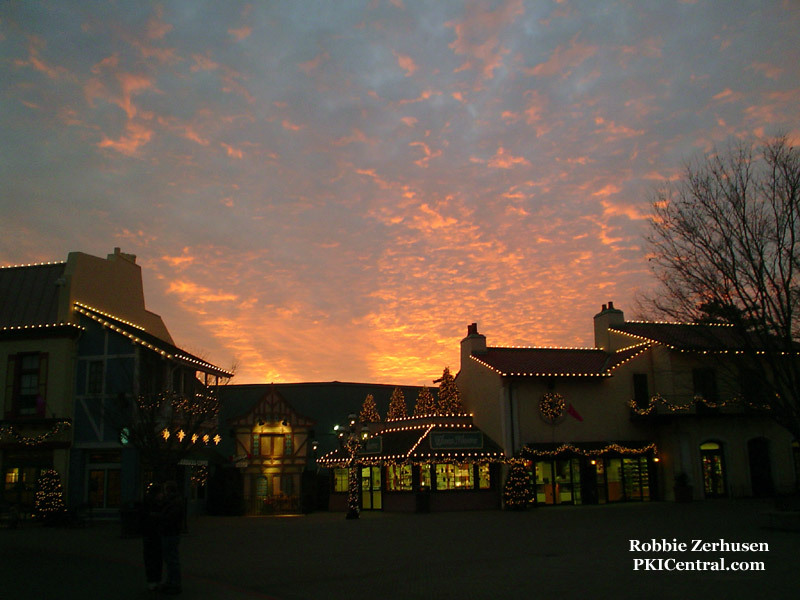 Preparations began years in advance as well: a new sound system on International Street was installed, more indoor dining establishments in 2005 on International Street , and a renovation of the Royal Fountain. 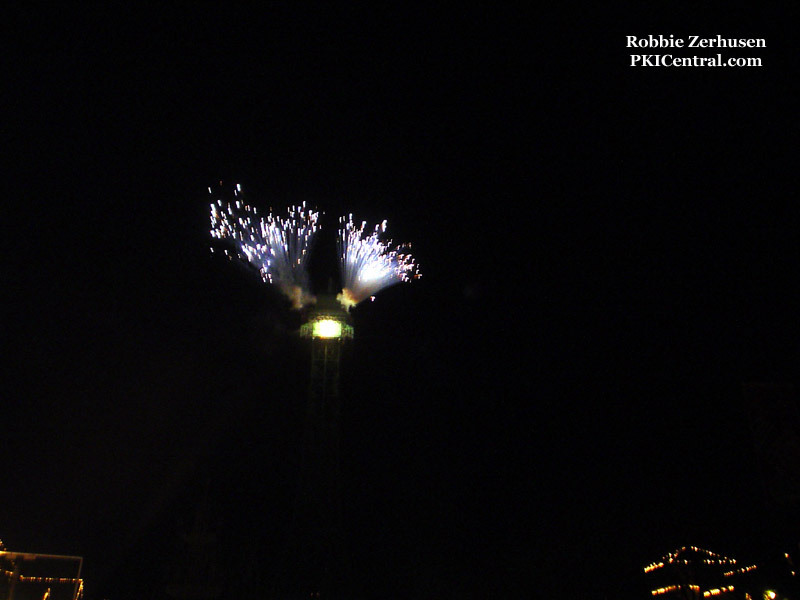 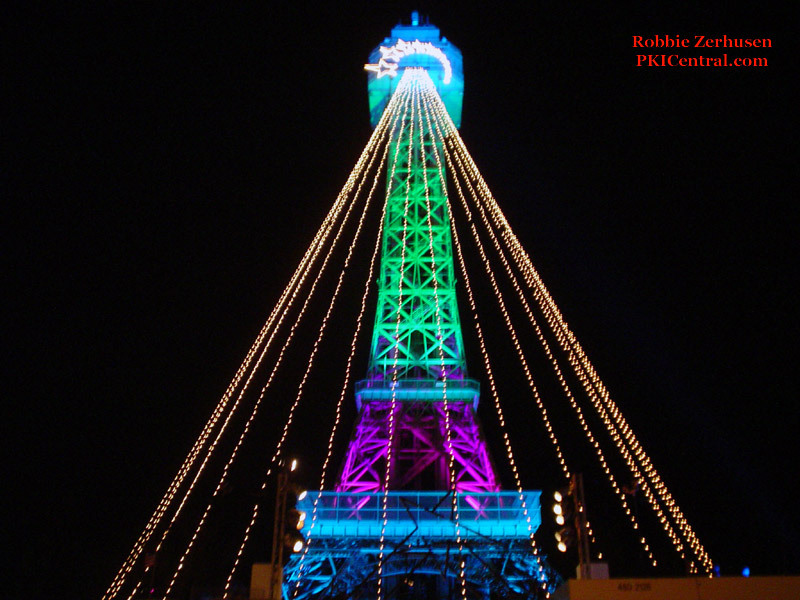 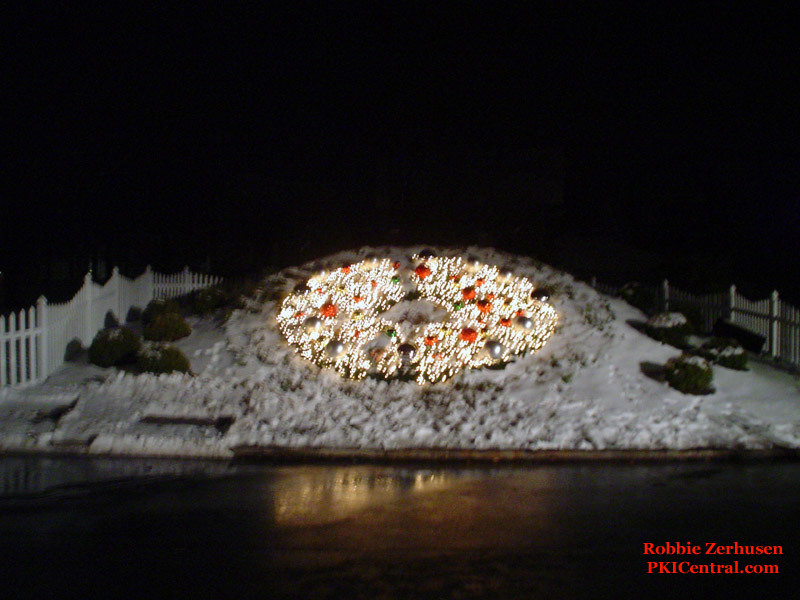 For WinterFest 2005, the Eiffel Tower was once again decked out as a large Christmas tree. 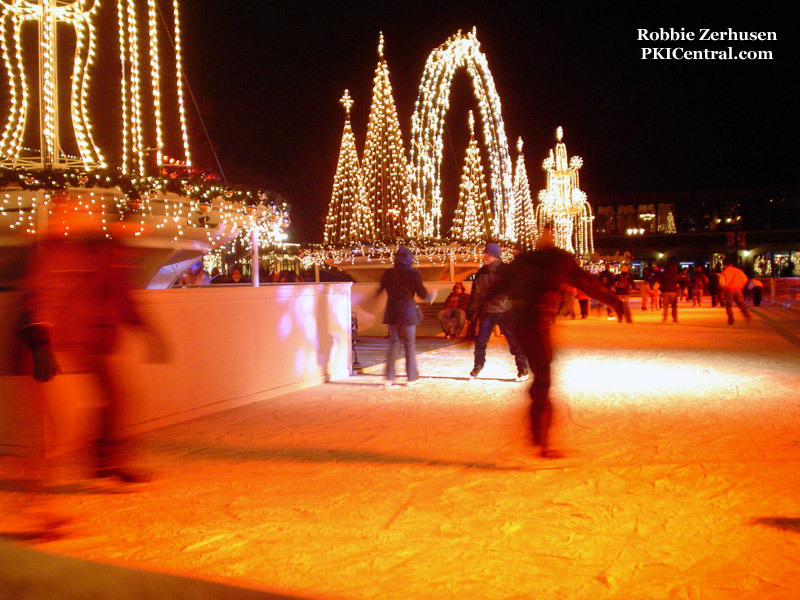 The Royal Fountain was once again transformed into a large ice skating rink. 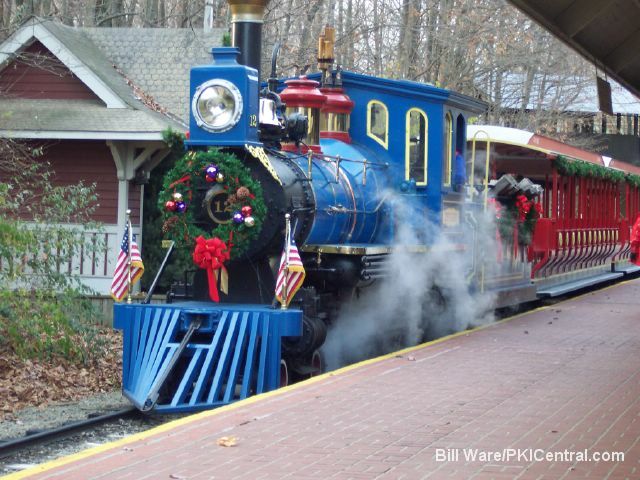 The Kings Island and Miami Valley Railroad wass transformed into the White Christmas Express, complete with a cast of 1940`s era characters. 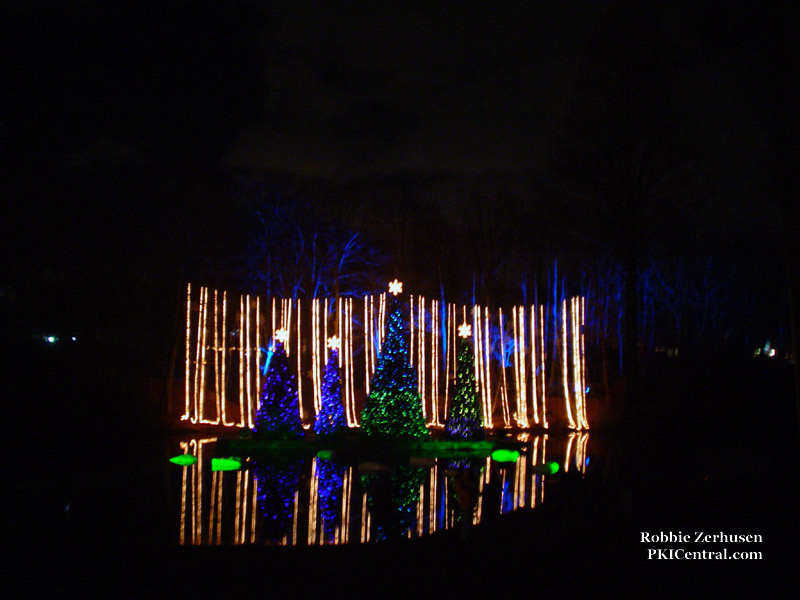 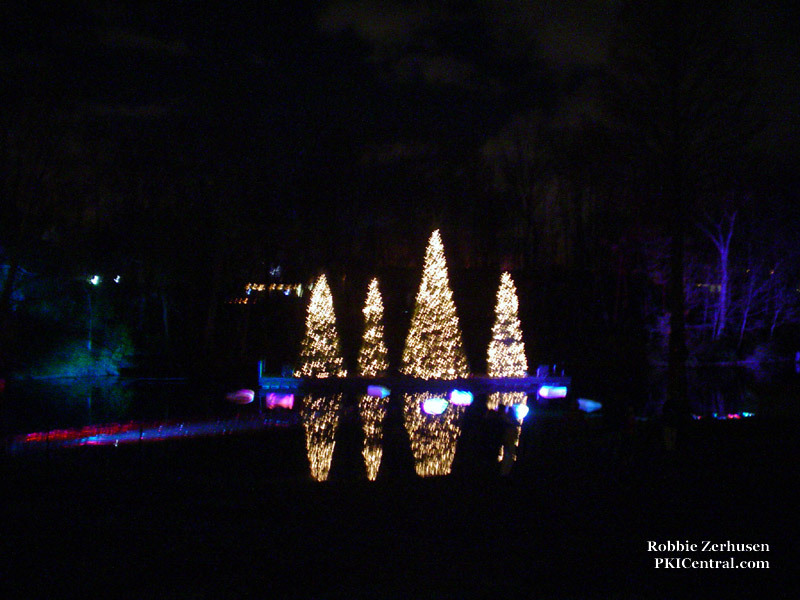 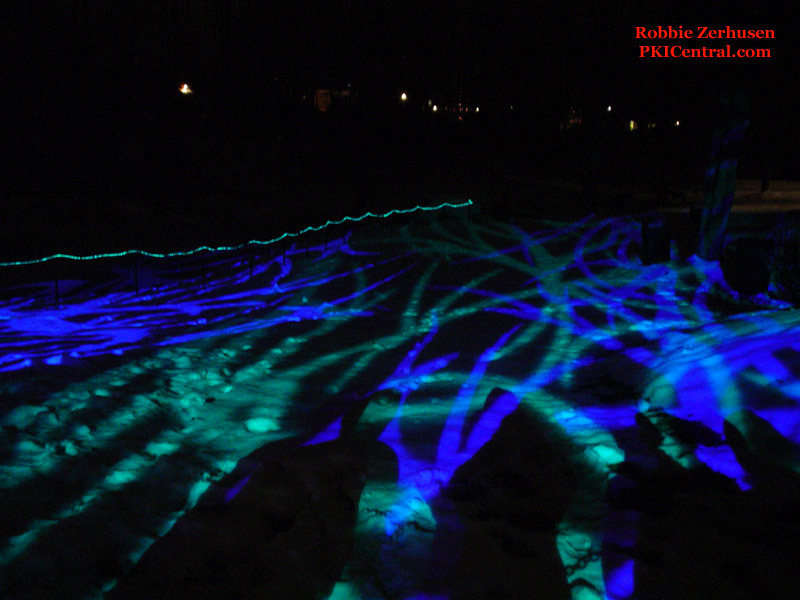 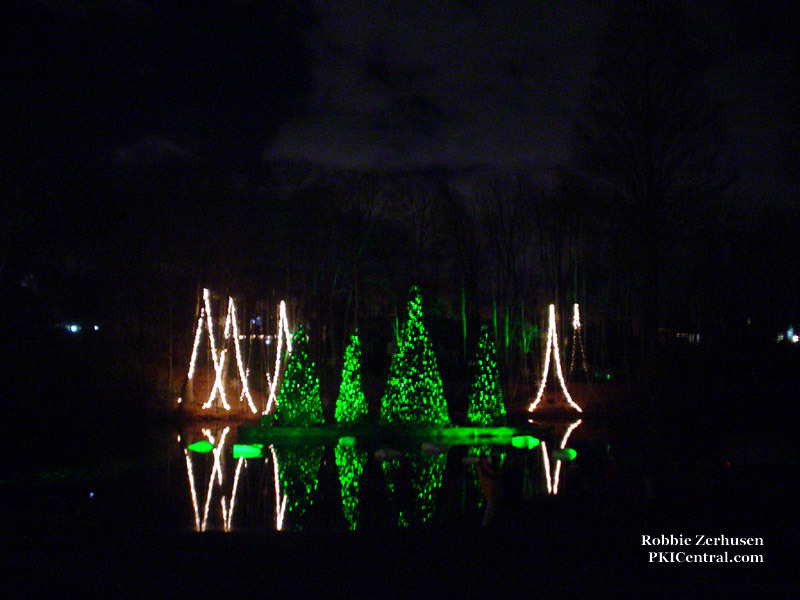 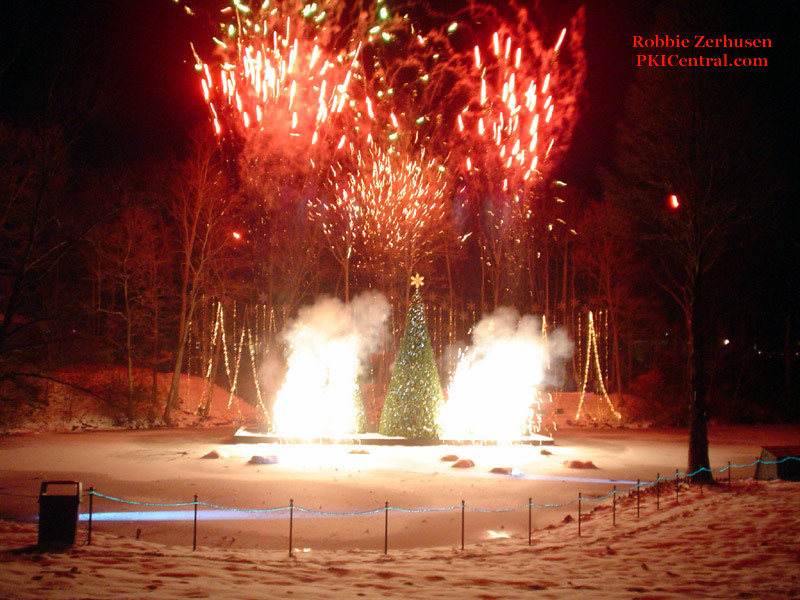 On Swan Lake in Rivertown, there was Holiday Illuminations, featuring an immersive light show on the lake and in the surrounding forest. 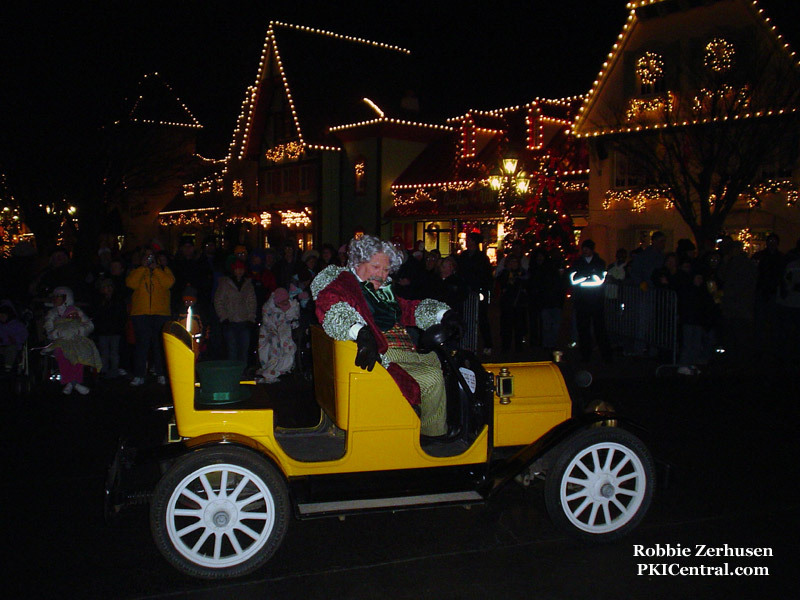 There was also a Christmas parade through the streets, as well as a Toy Factory musical in the Paramount Theater. 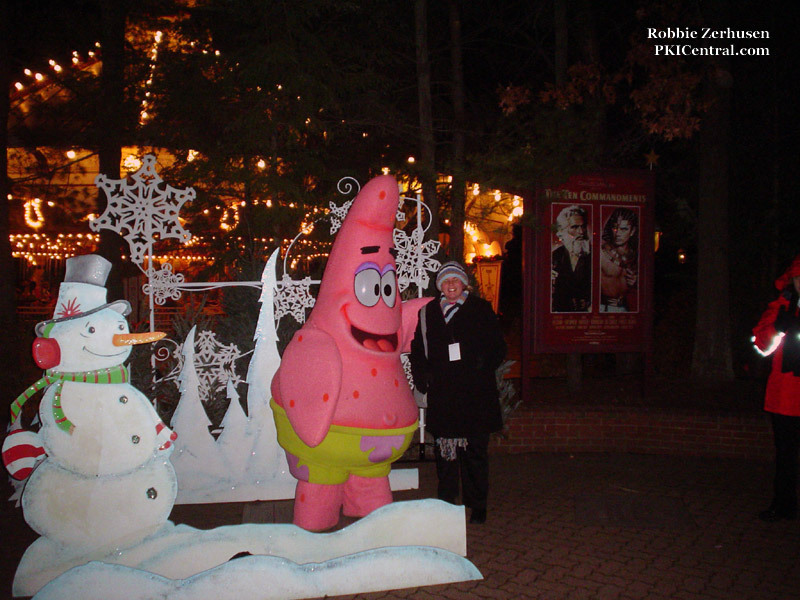 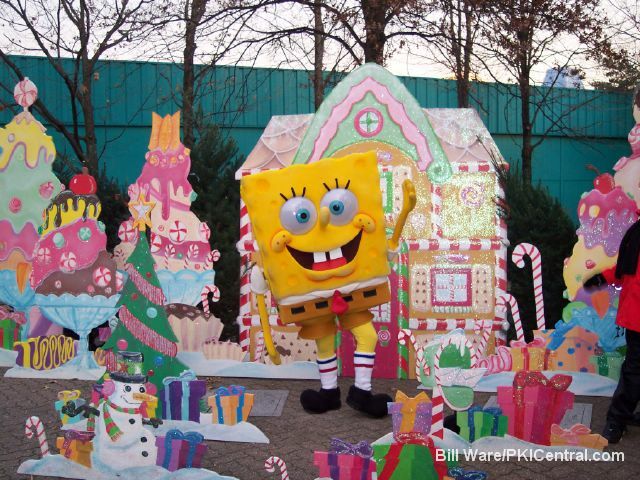 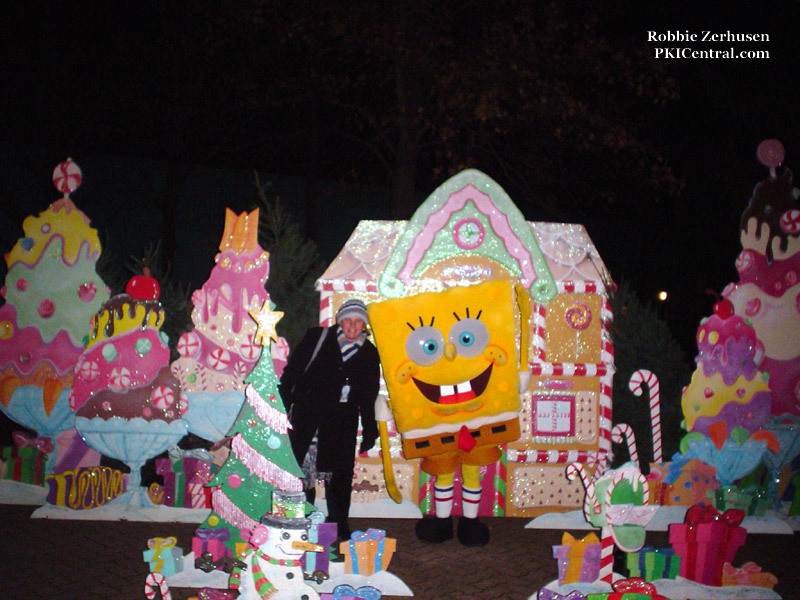 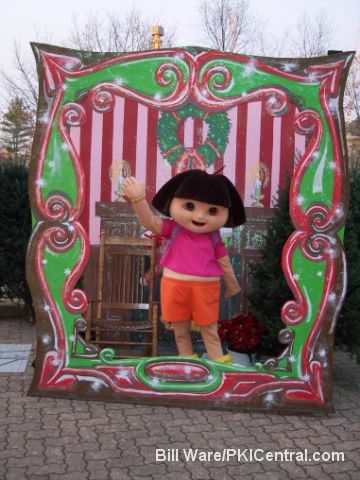 Nickelodeon Central was transformed into Santa`s Christmastown and the Paramount Story was transformed into the Nickelodeon Holiday Tree lot. 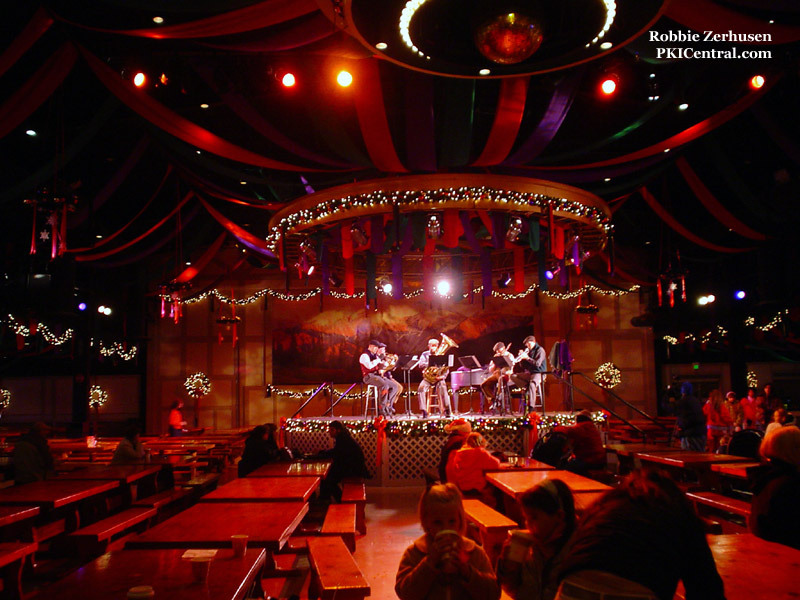 The Festhaus was transformed into the WinterFest Haus, with live entertainers on a revolving turntable stage. 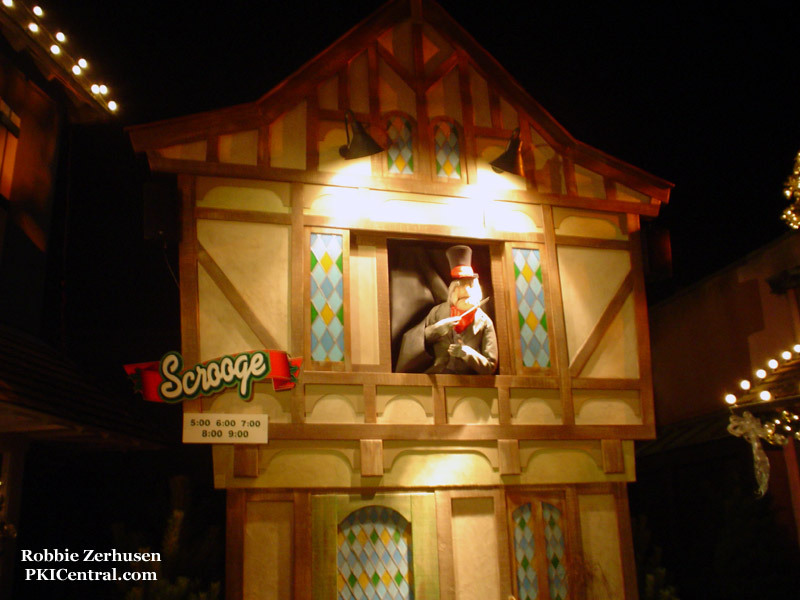 The classic Scrooge`s house returned for the reincarnated Winterfest. 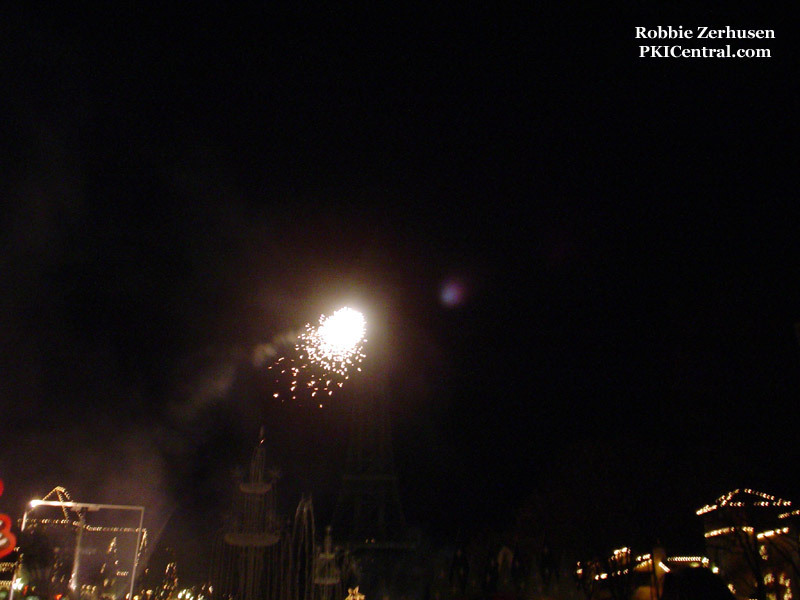 Also, every night, one lucky family was chosen to light the Eiffel Tower. 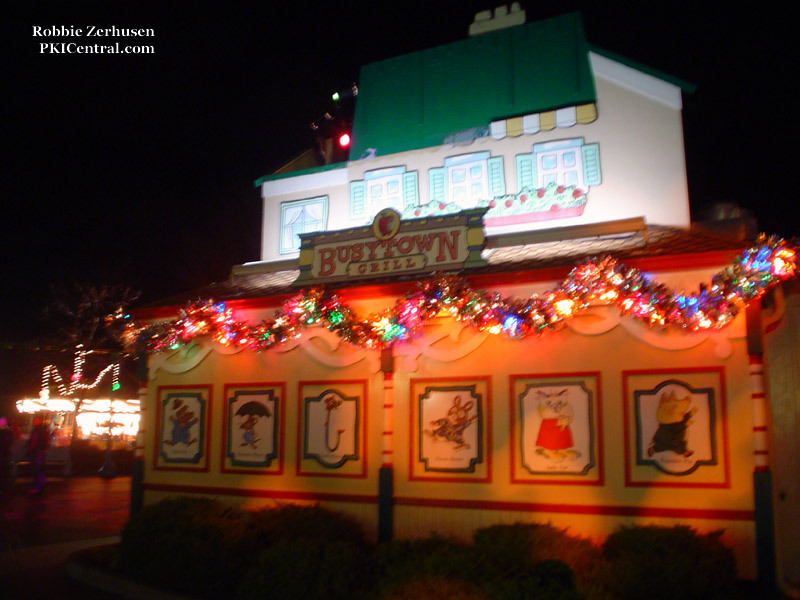 In addition to the train ride, the park had both the Grand Carousel, and the Hanna Barbera Carousel open. 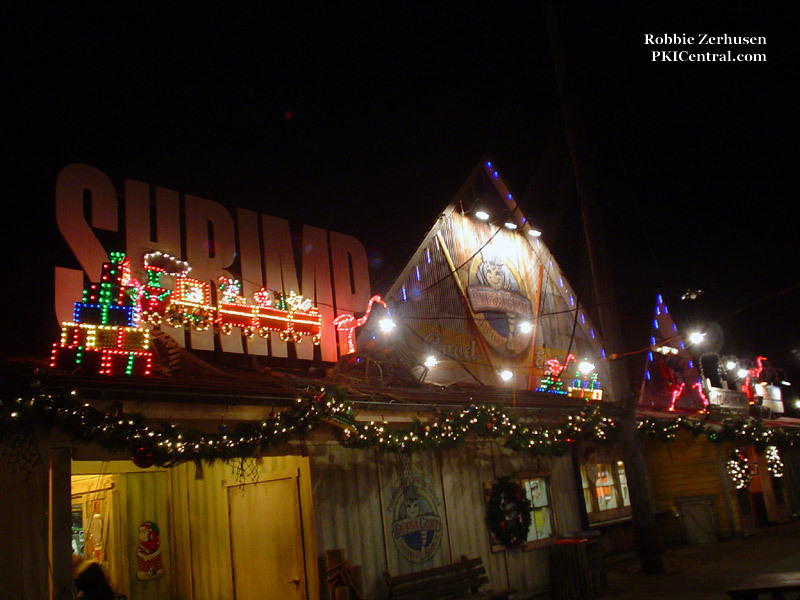 They also had Pixie and Dixie`s Swingset, Topcat`s Taxi Jam and Scooby Doo and the Haunted Castle open for the guests enjoying WinterFest. 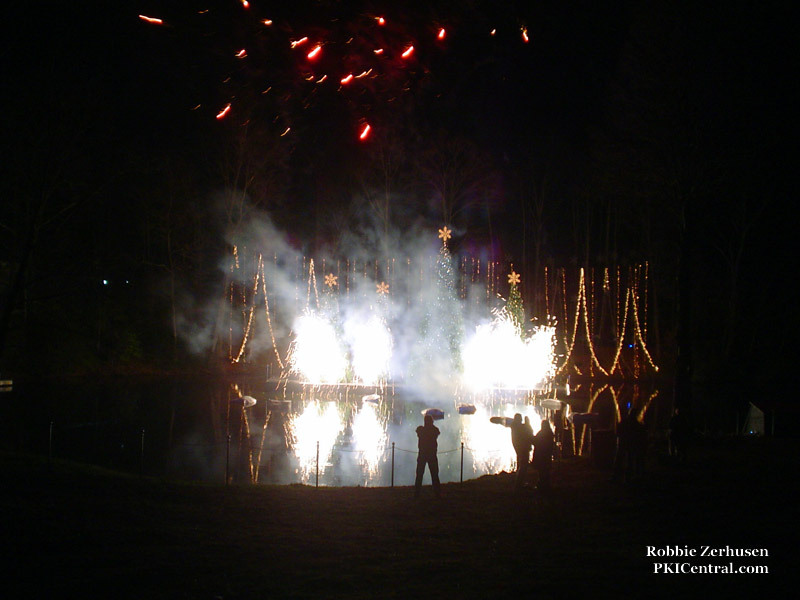 The master planning of this multi-million dollar event was conducted by Jack Rouse Associates. 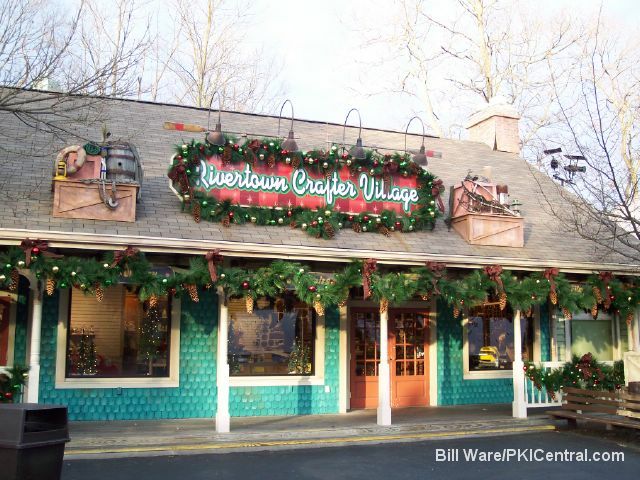 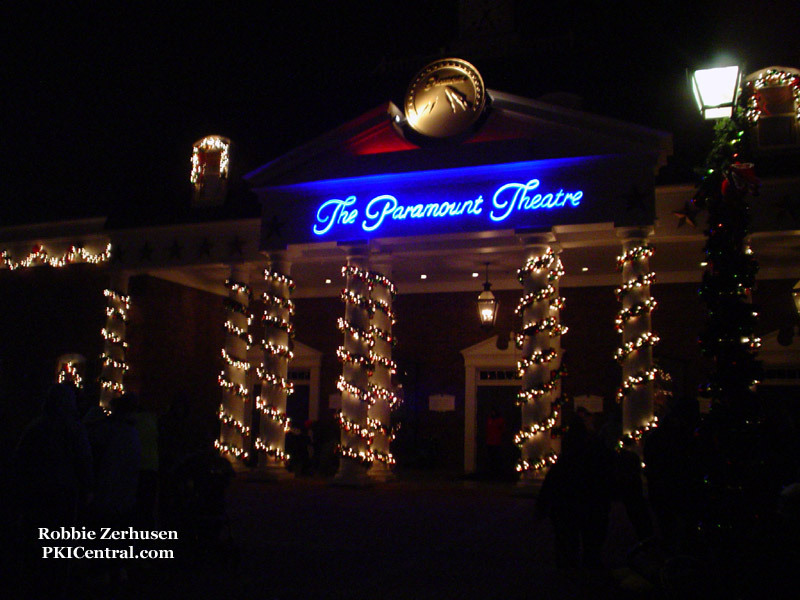 They designed and produced the thematic elements for the White Christmas Express, Santa`s Christmastown, Holiday Illuminations on Swan Lake, as well as the thematic elements in the WinterFest Haus and the thematic elements for Scrooge`s house on International Street. 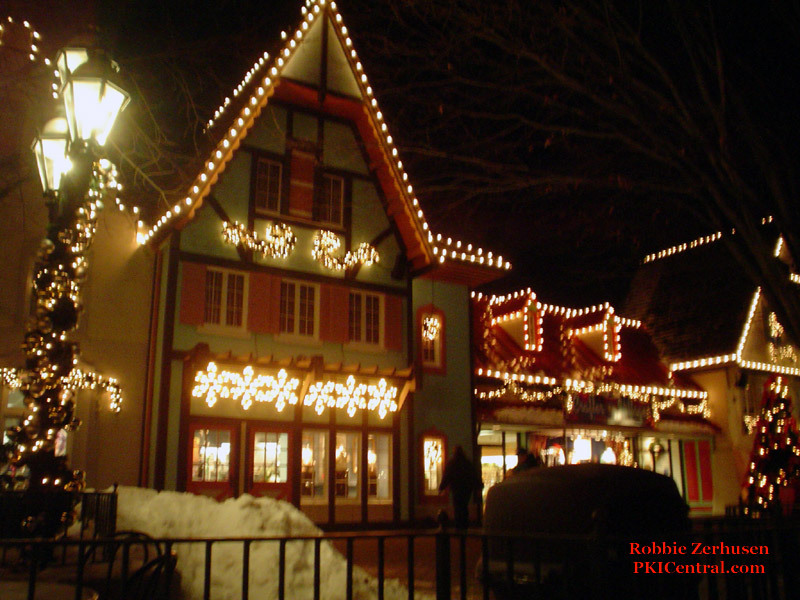 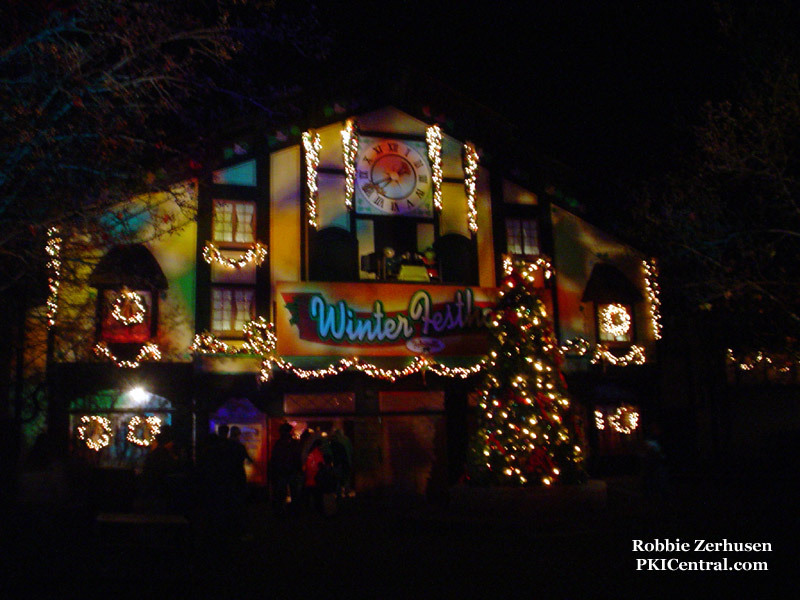 With the Paramount Parks purchasing the park in 2006 by Cedar Fair, it was announced that this second incarnation of Winterfest would not return for a second season in 2006. 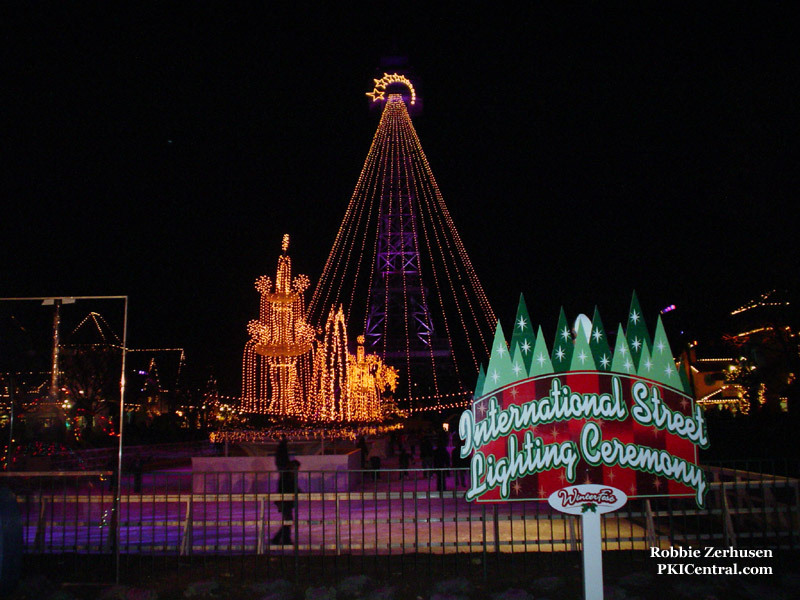 In 2016, Cedar Fair announced that they would hold a Winterfest event at sister park, California`s Great America, with the possibility of expanding to other Cedar Fair Parks in the future. 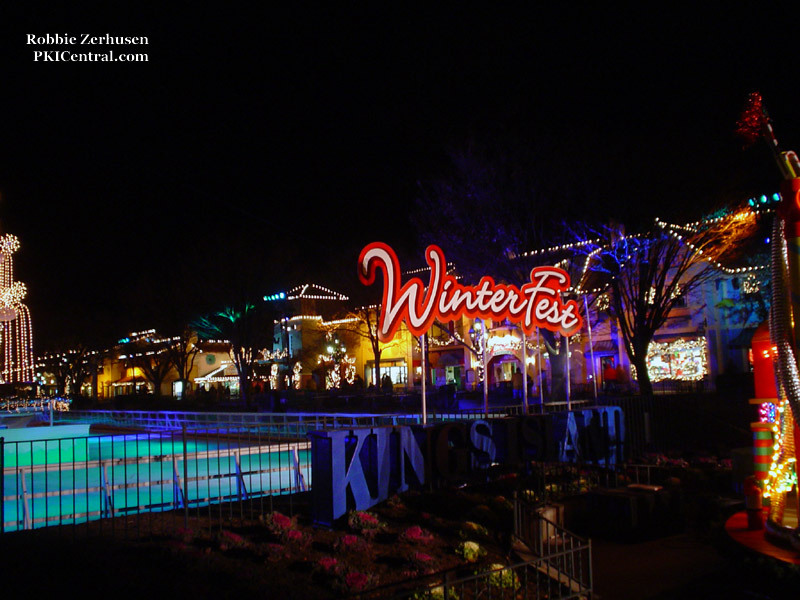 In the summer of 2016, it was announced that Winterfest would once again return to Kings Island for the 2017 holiday season. 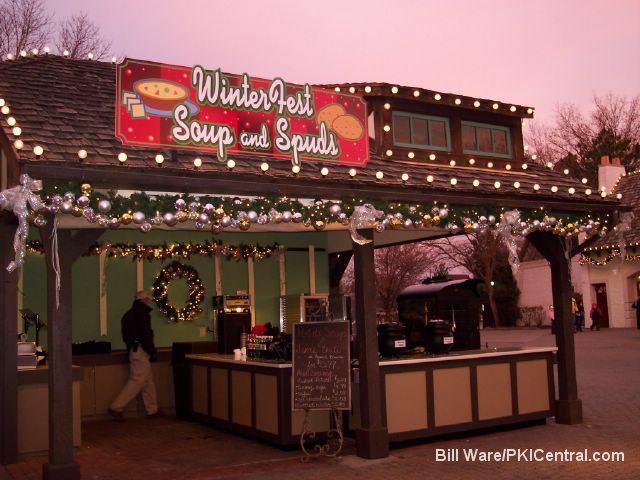 Sister parks, Carowinds and Worlds of Fun will also be hosting Winterfest in 2017. 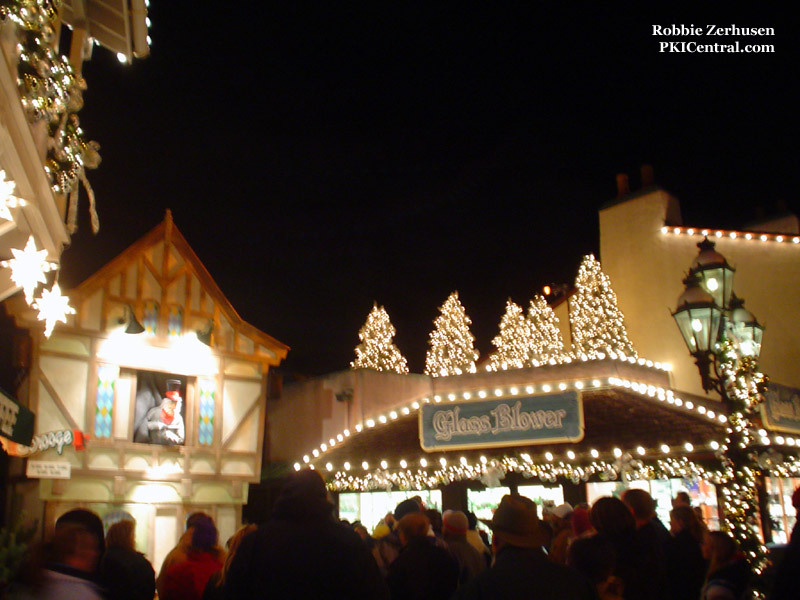 This new version of Winterfest will be included free for Gold and Platinum pass holders. 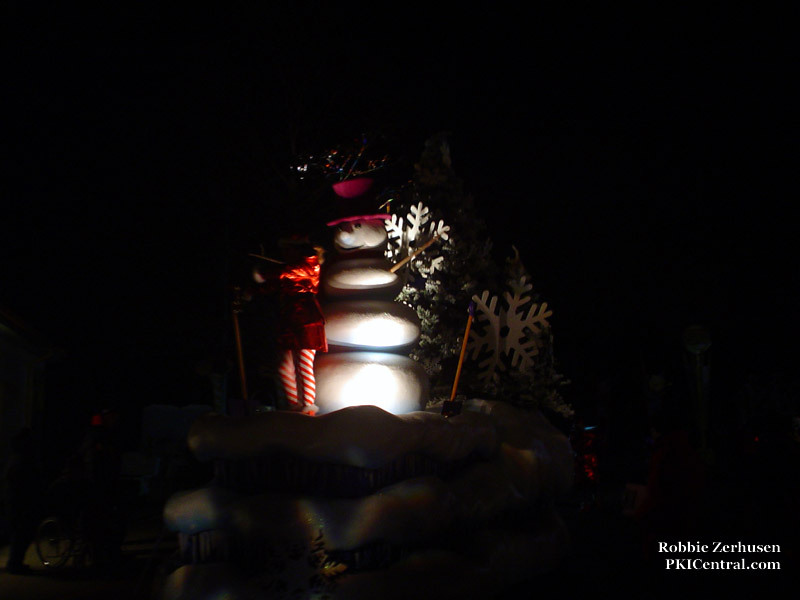 More details on this third incarnation will be released closer to the event. 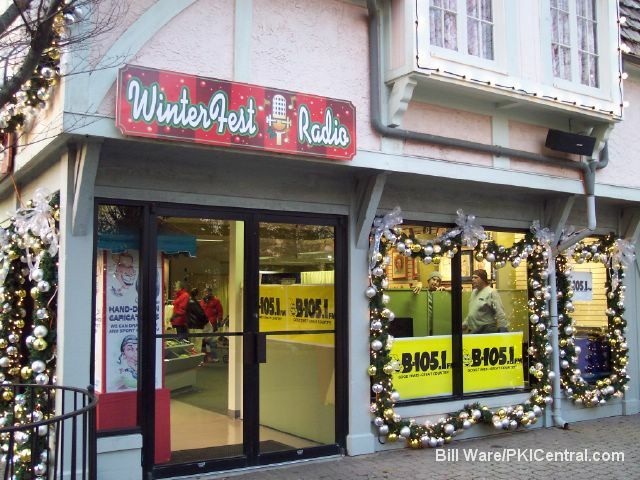 Winterfest Version 3.0 is set to debut on Friday, November 24th, 2017. 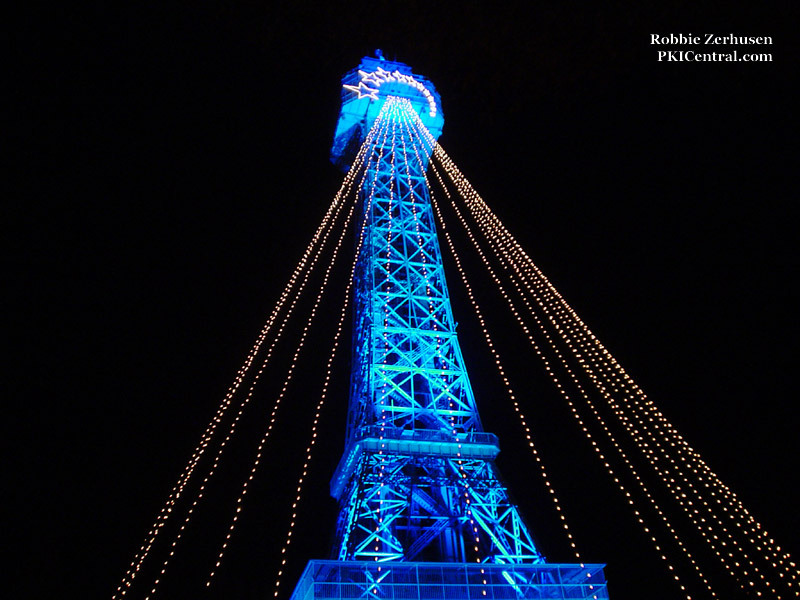 The new version of Winterst will feature over 5 million dazzling Christmas lights, including the Eiffel Tower decked out as a large Christmas tree. 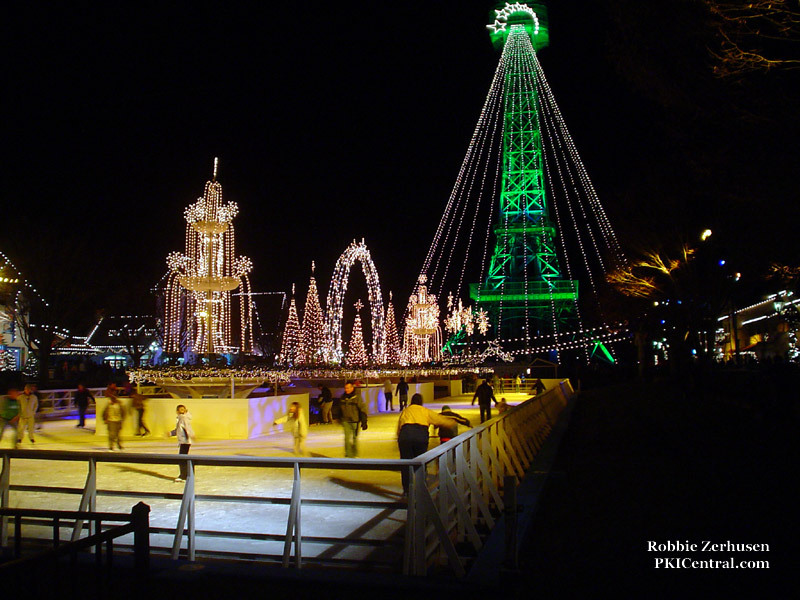 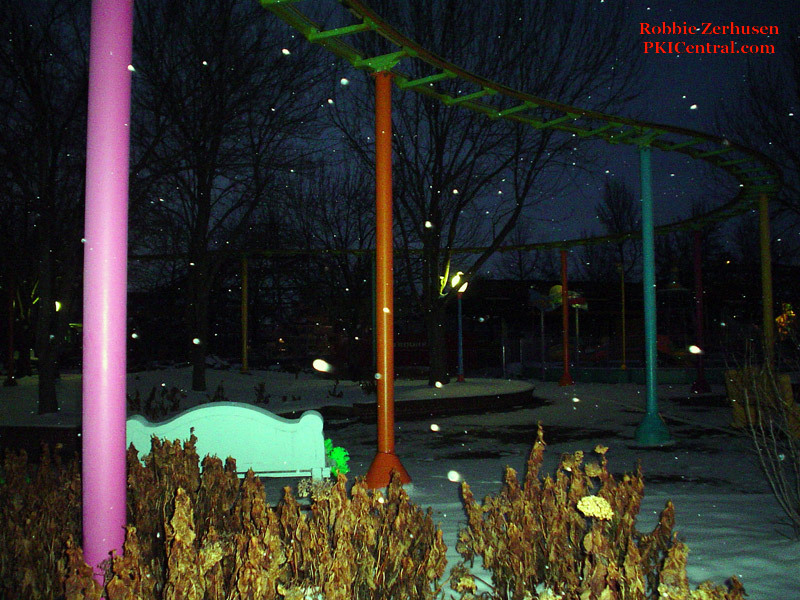 The Royal Fountain is once again transformed into Snow Flake Lake ice skating rink. 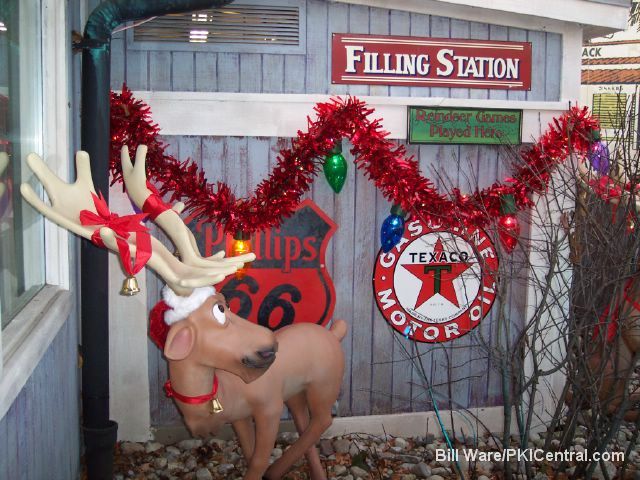 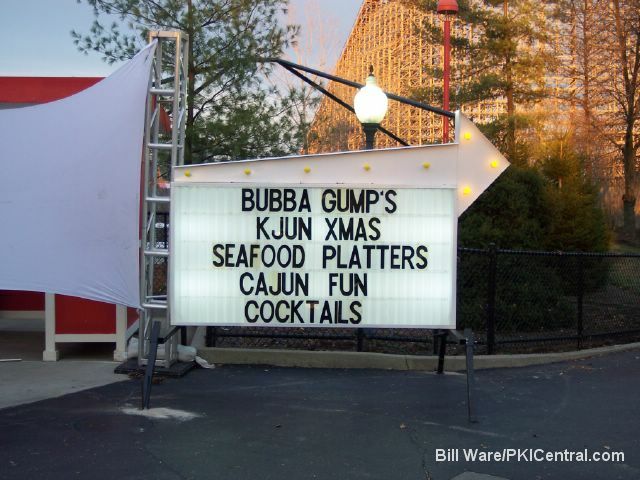 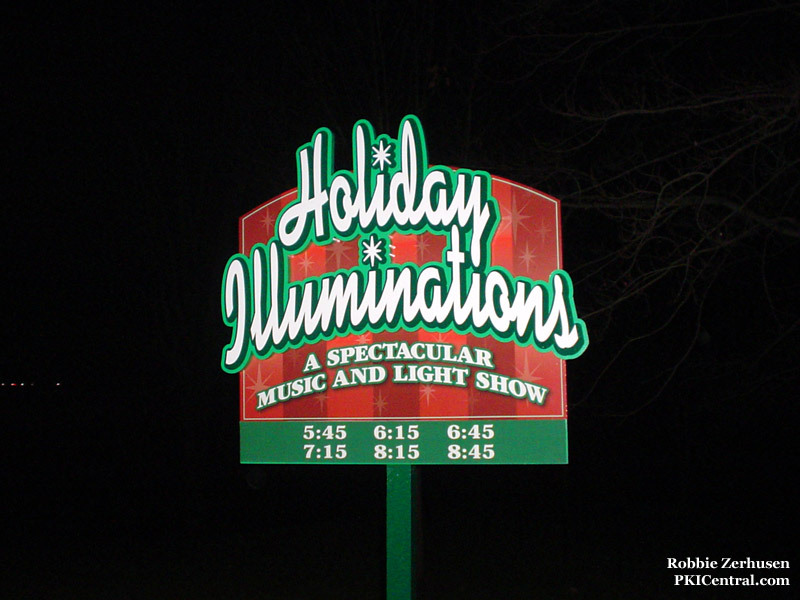 Live shows abound, with the Holly Jolly Trolley, Charlie Brown`s Christmas Spectacular, What the Dicken`s? 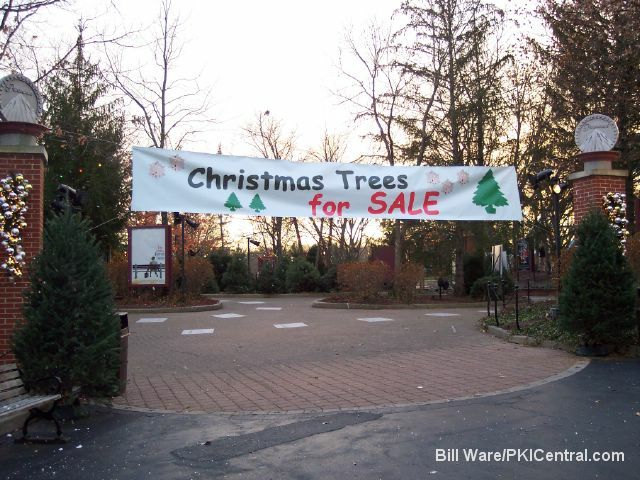 !, Twas the Plight Before Christmas, and Tinker`s Toy Factory among others. 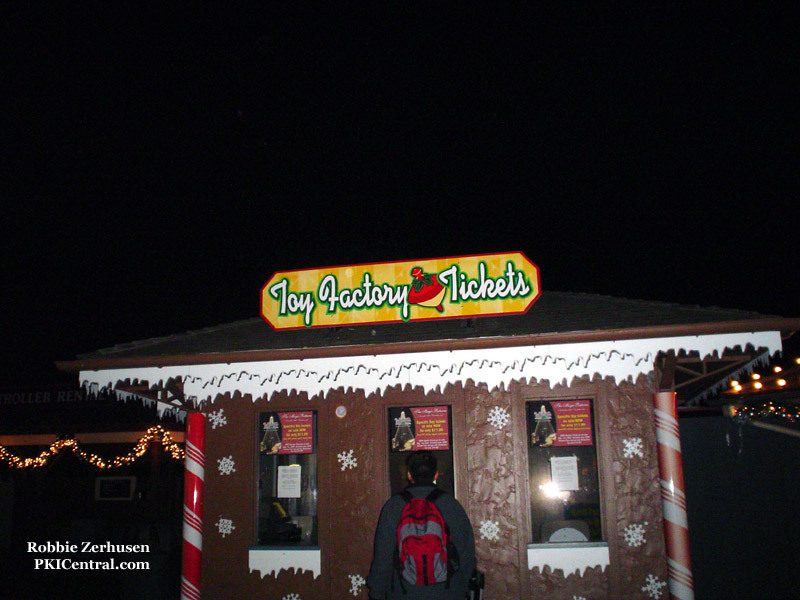 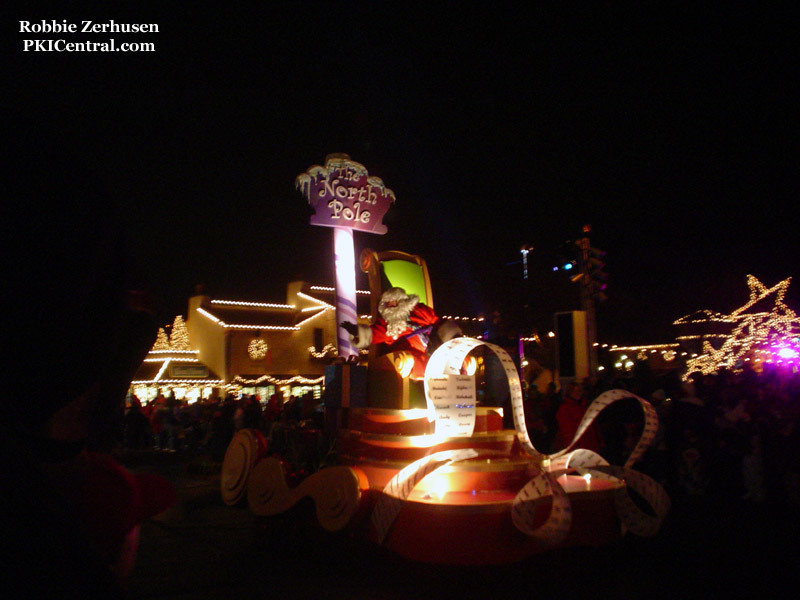 Tinker`s Toy Factory is based on Santa`s Toy Factory that was staged in the 2005 version of Winterfest and during the original run of Winterfest. 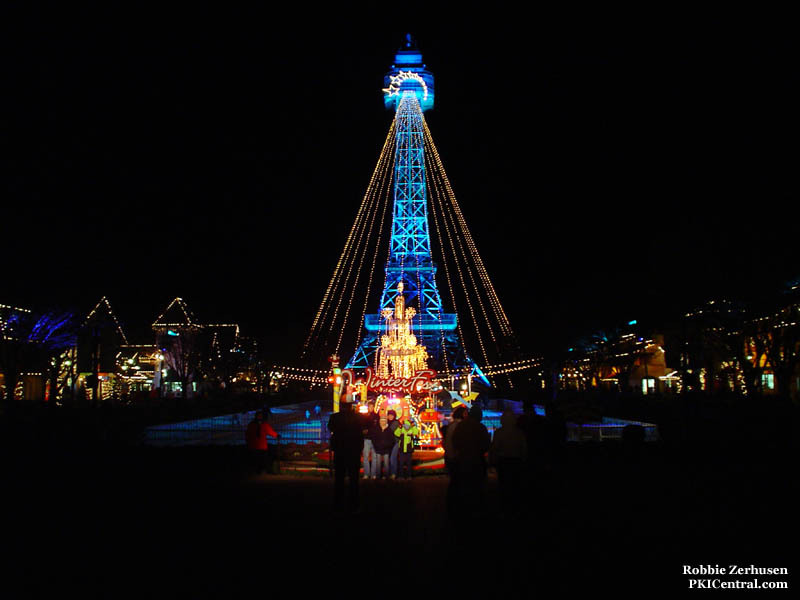 Up to 17 rides will be operating for Winterfest including the Grand Carousel, Dodgems, Scrambler, Zephyr, Kings Island and Miami Valley Railroad, and Mystic Timbers. 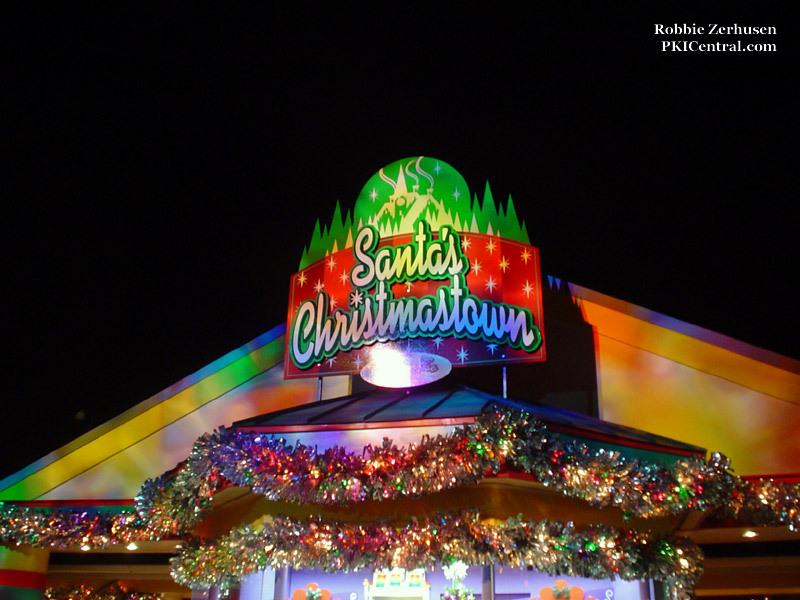 Coney Mall is transformed to Coney Elf Village, Rivertown is transformed to Rivertown Wonderland, Planet Snoopy is Charlie Brown`s Christmas Town, and Action Zone is Action Ice Zone.